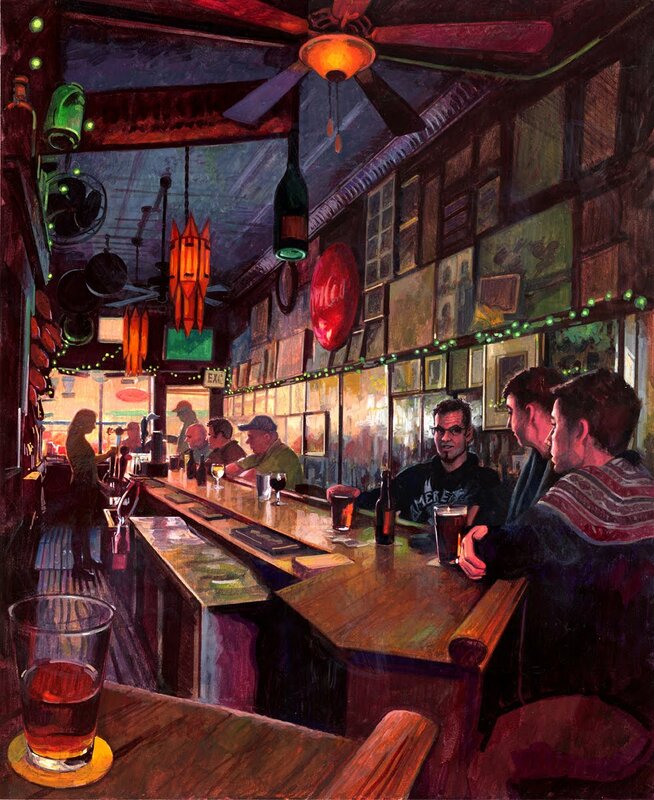 This is a very long and dark bar, it made for a dark painting. I'm becoming aware of just how fragile these places can be, I've lost a few bars along the way. Long may this one last.